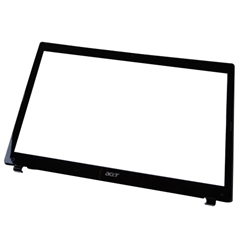 Description: New genuine Acer notebook lcd front bezel. This is for select models with a 17.3" screen. The bezel trim piece also has a hole for the webcam.